Hey y’all! Welcome to the 25th episode of #FanDamnShow! In today’s episode I talk about the four things your company should do to create a blog that readers love! But before I get into the Show Notes, a special thank you to MarketingProfs for becoming The Fan-Damn-Tastic Marketing Show’s first sponsor! This episode is brought to you by the Marketing Writing Bootcamp, from Marketing Profs. 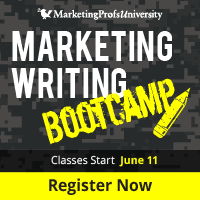 The Marketing Writing Bootcamp begins on June 11th and features 13 classes with almost 8 hours of instruction! You can learn more here about the Marketing Writing Bootcamp and if you enroll with promo code FANDAMN you’ll save $200 on Marketing writing bootcamp. 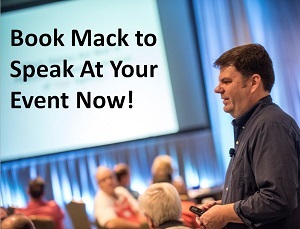 Plus, you’ll get over $1,000 worth of Marketing Profs seminars, classes, and video tutorials, free – just for registering! The Marketing Writing Bootcamp will be the sponsor of The Fan-Damn-Tastic Marketing Show for the next 2 months. If your company is interested in sponsoring #FanDamnShow, slots are available starting in July. You can learn more about sponsoring The Fan-Damn-Tastic Marketing Show and get rates by clicking here. And a special congratulations to Kerry Gorgone (who does an amazing job on the opener/closer for #FanDamnShow), who appeared last night as a legal expert for a segment on NBC Nightly News! You can view Kerry’s segment here, and visit her website too! I’m so happy for Kerry! 2:42 – The importance of creating reader-centric content, and how it can actually be a better way to promote your business than ‘brochure-ware’. 10:15 – All engagement is not created equally. How to decide what type of engagement ties to your goals for your blog and what actions you want readers to take on your blog.